Cedar Fence - Contact Our Professional Fence Contractors In Fort Collins | Advanced Landscaping & Sprinklers, Inc.
Cedar fences are one of the most popular fencing options in Fort Collins, and for good reason. A cedar fence is easy to install and maintain, and a brand new cedar fence will add a significant amount of aesthetic appeal to your home. Many neighborhoods in Fort Collins are governed by homeowners’ associations, and cedar fences are a great option for homeowners who are limited in the modifications they’re allowed to make to their homes. Cedar’s naturally light wood grain looks great with virtually every home color, and it can even be stained to match your neighborhood’s style and guidelines. ences are naturally weather-resistant, and the natural oils in the wood will help your fence look its best for the years to come. Unlike other popular fencing options, cedar will not shrink or warp when being exposed to water, even after decades of use! 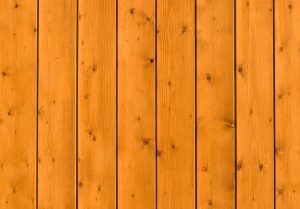 While you will most likely have to repaint or refinish your cedar fence every several years, it’s incredibly unlikely that you will need to have another fence installed after you have decided on a cedar fence. Advanced Landscaping & Sprinklers, Inc. is Fort Collins’ Top Rated Local® fence installation and fence repair company, and we would be glad to talk with you about your next fence installation! Our landscaping company is a Better Business Bureau member, and we strive to ensure that each of our customers receives excellent, individualized service. You can call our fence contractors at 970-316-2983 or you can contact us through our website to schedule a free estimate! We look forward to speaking with you.